TV pawn broker James Constantinou has plans brewing… He talks about some of his best property investments. 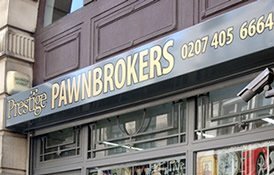 JAMES CONSTANTINOU, 51, is best known for his pawn empire — his company Prestige Pawnbrokers is the subject of Channel 4’s Posh Pawn documentary series. But James isn’t just a pawn baron; he’s had an extensive background in property development and has plans for his current home, a five-bedroom detached house he’s renting in Weybridge. The owner wants to sell and James is thinking of buying, knocking it down and building something new in its place. ‘I’ve wanted a swimming pool from the age of 12, and at 51 I’ve never had one. So I’d build a place with an indoor swimming pool and there’s enough room here to do it.